Francisco Torres. The name might not ring an immediate bell, but anyone who has visited Northview Stallion Station will recognize the face. Torres, stallion manager at Northview’s flagship Chesapeake City, Md., location, is usually the man on the end of the shank when the stallions are paraded for inspection. It’s what he doesn’t do that makes him memorable. Torres remains zenned out, barely seeming to notice. His quiet demeanor and effortless control hide that he has not spent his lifetime in the Thoroughbred industry. Oddly, an experience with cows assured his future at Maryland’s premier breeding facility. Growing up in a small town in Mexico’s state of Puebla, Torres would rise early each day with his father to help milk the family’s dairy cows. Married at 21, Torres moved wife Maria Louisa and their two small children to Colorado seven years later. A childhood friend was then the kitchen manager of a small café, and offered Torres a job which also provided housing. He liked working outside, with animals, doing physical work the way he grew up. So he made a phone call. Some cousins lived in Delaware and they found Torres a job loading milk trucks at the Hy-Point Dairy in Wilmington. Another childhood friend, Jose Alfredo, was working as a groom at Northview. When he learned Torres had settled nearby, he mentioned that the farm was looking for help. At that point, Torres’ son Francisco Jr. and daughter Edna were in the middle of their school term in Delaware. Once summer break began, Torres relocated his family to a home on the Northview property. Like all new farm employees, he started at the bottom. Mucking stalls and farm maintenance quickly led to grooming, and it wasn’t long before management noticed – and rewarded – Torres’ hard work and aptitude. Torres has handled several of North­view’s top stallions. Perennial leading sires Two Punch and Not For Love became household names. Multiple Grade 1 winner Waquoit was the first stallion syndicated for stud duty at Northview when the farm opened in 1989. All three are buried in the farm’s cemetery. Consider Torres like an NFL coach. Each breeding season sees returning big-name veterans, up-and-coming young turks and promising rookies arrive. North­view’s starting quarterback is Great Notion, Maryland’s leading sire in 2018. The 19-year-old son of Elusive Quality has sired at least one winner on Maryland Million Day for nine consecutive years. But his debut at Northview in 2005 was inauspicious at best. These days, Great Notion is given a pass on his occasional mood swings. The sire of ultra-consistent runners Ruby Notion, Talk Show Man, Phlash Phelps and Crabcakes has earned the right to call the shots every now and then. Six stallions stand with Great Notion at the Maryland location, with an additional six at the Peach Bottom, Pa., facility. Although based in Maryland, Torres has spent time with the Pennsylvania team to establish a program and train new personnel. Farm owner Richard Golden always keeps a keen eye open for young sires. Torres has had something new to indoctrinate nearly every year since 2013, when Redeemed joined the roster. The 11-year-old bay won from 6 furlongs to 1½ miles and earned $832,140. But Redeemed holds the title of The Spooky One. “He’s always worried about his own shadow,” Torres laughed. New in 2014 was Buffum – The Cranky Clown. 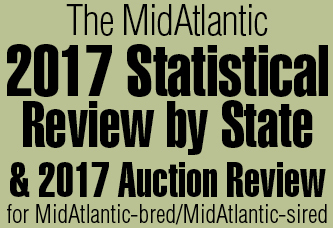 The only stakes-winning son of Bernardini in the Mid-Atlantic region was a $1.2 million Saratoga sales yearling whose first crop included 2017 Maryland Million Nursery winner Clever Mind. Buffum feigns grouchiness in a never-ending quest to entertain. Bandbox joined the squad in 2015 and his first crop included 2018 Maryland Million Nursery winner Follow the Dog. The 11-year-old son of Tapit is North­view’s bottomless pit. “He eats everything he can. If another horse has left his hay, Bandbox will eat it all,” Torres said. Golden Lad and Madefromlucky are the young players on the squad. Nine-year-old Golden Lad, a son of Medaglia d’Oro, entered stud in 2016 and will have his first runners this year. 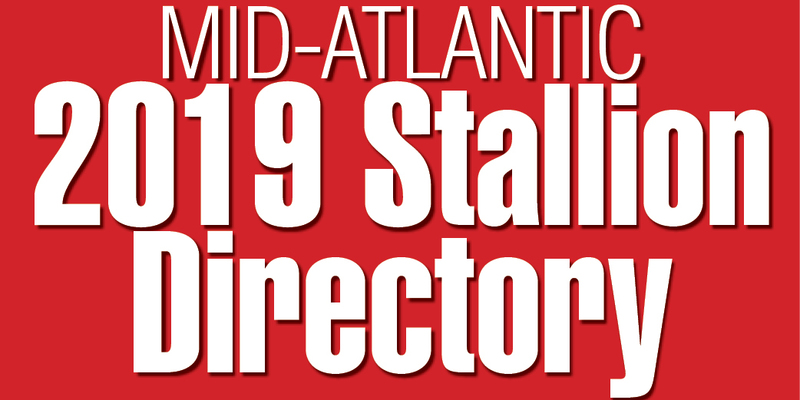 A Maryland-bred daughter sold for $120,000 at the Fasig-Tipton Midlantic fall yearling sale in October, the sale’s highest price by any first crop sire and co-highest (with Great Notion) for a regional sire. Madefromlucky was new to Northview for 2018. The son of Lookin At Lucky and Home From Oz (a full-sister to leading sire Tapit) earned more than $1.3 million on the track and gets another chance to prove himself as his first foals arrive this year. Torres is enthusiastic about the newest farm resident. Irish War Cry, 5, may as well be a local. He spent much of his racing career at Fair Hill Training Center 20 miles up the road. He was foaled in New Jersey, just like his dam Irish Sovereign and her dam Irish Genius. And Polish Numbers, sire of Irish Sovereign, stood at Northview. Irish War Cry has adjusted to his new schedule. Typically, Torres will gradually introduce outside activities to a new stallion, beginning with hand-walking and leading up to paddock turnout once the horse is fully acclimated. With pre-season at an end, Torres and crew are gearing up for the January start of foaling season and February’s return to the breeding shed. Mares have been under lights at Northview for several weeks. Francisco Torres Jr., now 26. He earned a degree as a translator at Cecil College but works and lives at Northview until a job in that field becomes available. His sister Edna, 24, also graduated from Cecil College. She had an internship at Walt Disney World and then completed her four-year degree at the University of Maryland. She works in marketing in Washington, D.C.
Maria Louisa Torres runs the household and dotes on her husband and son. Meals are ready and waiting when the two come in from work. Torres beams when speaking of his wife and children. That is evident in his devotion to his career and the esteem with which is he regarded by his co-workers and Northview management. Employees aspiring to work in the stallion barn want to learn from the best.